Arranti and Covertech have teamed up to offer a new packaging solution. Introducing the patented multi-compartment “Chambered Pouch”. This gusseted stand-up pouch allows for the isolation and packaging of two or more products together in one single pouch. This convenient, multi-chambered pouch is uniquely suited for selling combos of two or more products, which will be used around the same time or mixed together for a final assembly. 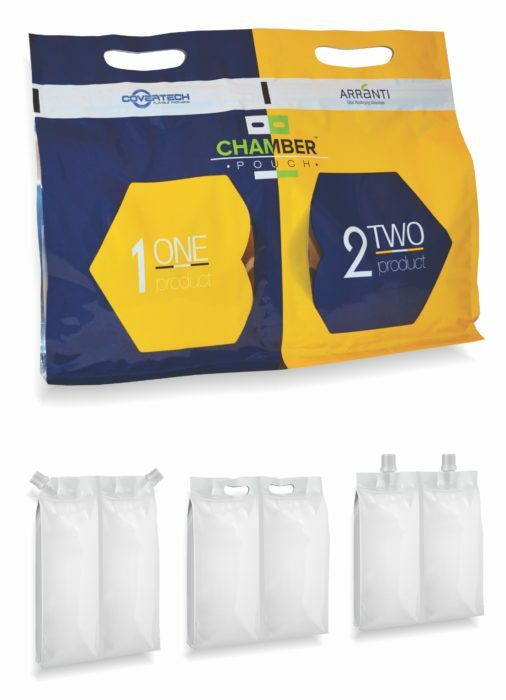 The Chamber Pouch is designed for convenient packaging of all types of suitable content such as (but not limited to) dry powders, granular products, flow-able solids, liquids, paste, etc.